A new study reveals that plumes of methane being released from the ocean are spreading for many thousands of miles. The Trump administration's campaign to roll back as many government regulations as possible is well underway. On the environmental front, Trump administration officials have already -- in one day alone, and without allowing any opportunity for public comment -- delayed the dates of 30 Environmental Protection Agency (EPA) rules. A rule that restricted animal welfare requirements for organic poultry and livestock has been delayed by two months, and a bumble bee which was about to be added to the endangered species list has just found itself in jeopardy of extinction since the Trump administration said it would postpone the listing until at least March 21. Meanwhile, Trump administration officials are indicating that they will be making marked changes in oil and gas industry regulations. In November, the Obama administration's EPA requested that nearly 20,000 oil and gas companies measure their methane emissions within two to six months, depending on their type of facility. Methane is a greenhouse gas 23 times more potent than CO2, and reducing methane emissions is a critical part of mitigating climate disruption. However, the Trump administration has been granting a 90-day extension on the measurement regulation to every oil and gas company that wants one. Many oil and gas officials now expect the methane survey to be scaled back dramatically, or altogether abandoned. Scott Pruitt, Trump's EPA administrator and climate-denying oil and gas apologist, has even questioned whether his agency has the authority to regulate greenhouse gas emissions. Add to this the fact that his proposed EPA budget calls for a 25 percent budget cut, which will endanger the lives of countless Americans, as regulations safeguarding clean air and water are stripped down or cut altogether. Of course, as the denial of anthropogenic climate disruption (ACD) continues, the world is continuing to warm. A new reminder of that comes in the form of a scientific paper published in the International Society for Microbial Ecology Journal. The study has pinpointed the source of an enormous Pacific methane pool, uncovering disastrous news for the planet. 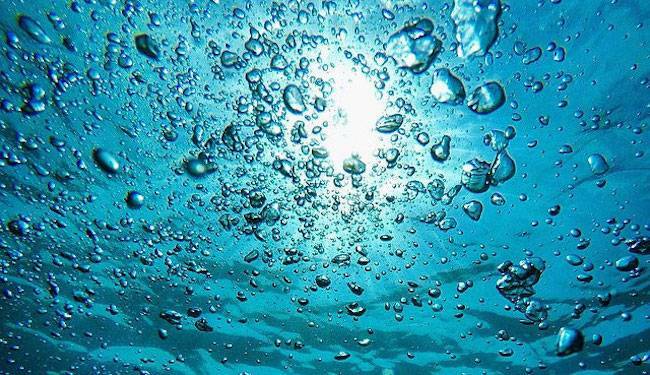 The new study reveals the location of bacteria responsible for the release of massive amounts of methane in the ocean. The vast amount of methane they are producing covers an area that stretches from Panama up to Mexico, and all the way out to the Hawaiian Islands. According to a news report on the study, the plumes of methane being released are spreading for many thousands of miles. The bacteria generate methane when there is no oxygen present, so the newly discovered methane pools happen in deoxygenated "dead zones" of the ocean. While the massive plumes of methane are, at present, still being absorbed back into the ocean water, study author Felicity Shelley of Queen Mary University of London told the International Business Times, "Scientists are predicting these low-oxygen zones will get larger and closer to the surface when the oceans warm." This would increase the risk of methane -- which is already being released in massive amounts in the Arctic due to melting permafrost -- being released into the atmosphere. And troublingly, ACD is already causing an expansion in both the numbers and size of dead zones around the planet. The second largest dead zone on the planet is in the Gulf of Mexico. It has consistently been measured at over 6,000 square miles, and is the result, largely, of the excessive use of chemical fertilizers by industrial agriculture in the US. The chemicals in the fertilizer cause an increase in algae in the water, which then starves other marine life of oxygen. "The dead zone makes an area of the ocean floor -- this year about the size of Connecticut and Rhode Island, combined -- with oxygen levels so low, critters in these areas must swim away or suffocate and die," Matt Rota, senior policy director for the Gulf Restoration Network (GRN), an environmental group that works to protect the ecology of the Gulf of Mexico, told Truthout in a 2015 interview about the dead zone. Even then, the EPA was not regulating the use of these fertilizers across much of the US, so Rota's organization was suing the agency. Now, with oil and gas proponent Pruitt heading the EPA, all bets are off on how much larger the Gulf of Mexico dead zone -- along with others near the US's coasts -- will grow. The most current estimates show more than 400 dead zones around the world, and the number is growing due to increasingly warm waters and ocean acidification, both direct byproducts of ACD. In 2003, there were 146 dead zones; by 2009, the number had more than doubled. In 2014, a Smithsonian-led study showed that ACD is contributing to an increase in global dead zones, in both size and number. The dead zones' release of methane, coupled with the increase in dead zones worldwide, is a sobering discovery. Yet another source of atmospheric warming has been added to a very long list -- amid a political climate in which key regulations appear to be dead in the water.